Insight TV has appointed Mark Romano as vice-president of Americas, tasked with leading the UHD adventure and lifestyle service’s North American multiplatform expansion. Romano was most recently vice president of strategic accounts for Captivate, a marketing and advertising business that has a network of some 12,000 elevator and lobby displays in 1,600 office buildings across North America. Before that he held senior distribution executive roles with ONE World Sports, Outdoor Channel and Rainbow Media. 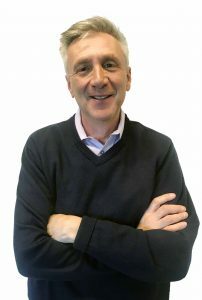 In his new role, Romano will be responsible for managing and negotiating the distribution of Insight TV across all platforms, including MVPDs and OTT services, in North America. Based in New York he will report to Insight TV’s chief commercial officer, Graeme Stanley. “Mark has an incredible track record of building linear, VOD, SVOD and customised platforms for both start-up and established platforms,” said Stanley.